The infamous killer Michael Myers strikes again in "Halloween," arriving on Digital and via the digital movie app MOVIES ANYWHERE on December 28, 2018, as well as on 4K Ultra HD, Blu-rayTM, DVD and On Demand on January 15, 2019. Hailed by critics as “a near perfect blend of craft, character growth and nostalgia” (Perri Nemiroff, Collider), "Halloween" takes place four decades after Laurie Strode (Jamie Lee Curtis, Halloween Franchise, “Scream Queens”) narrowly escaped the masked Michael Myers’ brutal killing spree. 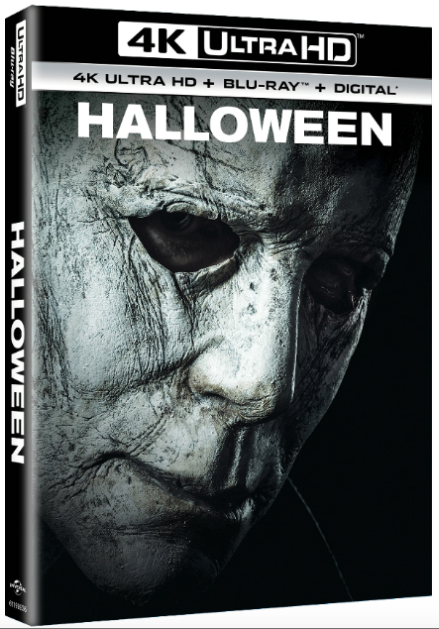 Packed with bonus features including chilling deleted and extended scenes as well as special featurettes showing behind-the-scenes looks at creating the film, "Halloween" delivers spine-chilling, hair-raising intensity and thrills to both new and repeat viewers. Forty years after the events of 1978’s "Halloween," Laurie Strode (Curtis) now lives in a heavily guarded home on the edge of Haddonfield, where she’s spent decades preparing for Michael’s potential return. After being locked up in an institution, Myers manages to escape when a bus transfer goes terribly wrong, leading to chaos in the same town he preyed on decades earlier. Laurie now faces a terrifying showdown when the deranged killer returns for her and her family – but this time, she’s ready for him. Master of horror John Carpenter (Halloween (1978), The Thing) joins forces with director David Gordon Green (Joe, Pineapple Express) and producers Jason Blum (Blumhouse), Malek Akkad (Trancas International Films) and Bill Block (Miramax) for this follow up to Carpenter’s 1978 classic horror film. 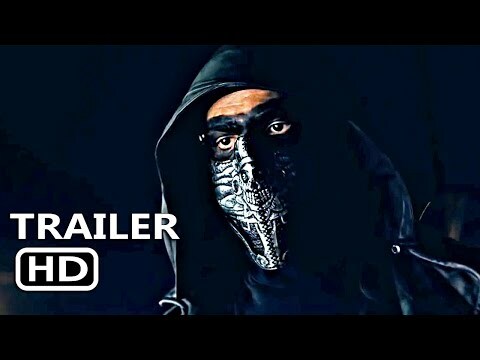 "Halloween" also includes a stellar cast including Judy Greer (Ant-Man and The Wasp, Jurassic World), Andi Matichak (“Underground”), Will Patton (Armageddon, The Punisher), and Virginia Gardner (Project Almanac, “Runaways”). Proving “classics never die” (Mara Reinstein, US Weekly), "Halloween" offers a tricky treat for audiences both old and new. "Halloween" is the perfect slasher film, lauded as “hands down the best Halloween sequel ever” (Katie Walsh, Nerdist) and “immensely entertaining” (Eric Eisenberg, Cinemablend). The film will be available on 4K Ultra HD in a combo pack which includes 4K Ultra HD Blu-rayTM, Blu-rayTM and Digital. The 4K Ultra HD disc will include the same bonus features as the Blu-rayTMversion, all in stunning 4K resolution. MOVIES ANYWHERE is the digital app that simplifies and enhances the digital movie collection and viewing experience by allowing consumers to access their favorite digital movies in one place when purchased or redeemed through participating digital retailers. Consumers can also redeem digital copy codes found in eligible Blu-rayTM and DVD disc packages from participating studios and stream or download them through Movies Anywhere. MOVIES ANYWHERE is only available in the United States. For more information, visit moviesanywhere.com.